At the beginning of the year, one of my sons asked me to paint modern troops. I'm not a great expert of modern warfare but I couldn't reply him in a negative way. So … I remembered that, when I was 15 years old, my father bought for me a couple of Esci and Atlantic 1/72 soldier boxes. 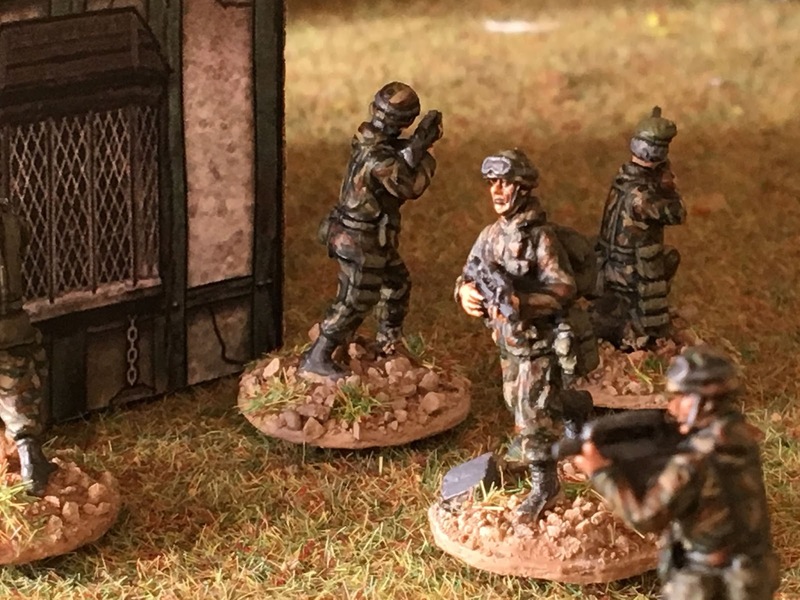 The 20mm is not my preferred scale for miniatures but they are cheap. I'm not sure in which way I’ll use the Atlantic miniatures because they have not the right scale but, even if the Esci box is old, miniatures are good. Unfortunately the Esci box contains Russian spetsnaz suitable for the Afghanistan wars … not exactly modern … but it is a point to start. I tried to find a standard Russian mimetic uniform watching youtube video of Crimea and Cecenia wars but it is a bit hard to find it. So I decided for a soft mix and in the meanwhile I’ve bought a box of Orion modern federal Russians. At Milano Wargame I bought some Caesar 1/72 soldier boxes. SDF uniform are easy because it is sufficient to work on different shades of green. Caesar sells also a strange box with Chinese and French troops. Below some pictures of French Légion étrangère. Latest test is to paint US modern troops. In this case, it is easier to find the right mimetic. 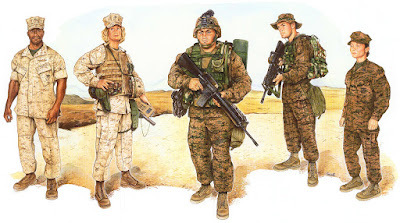 At the moment the US uses a "woodland uniform" called MARPAT. It is difficult to recreate it in 20mm because the mimetic design is composed by small pixels but the effect is acceptable.